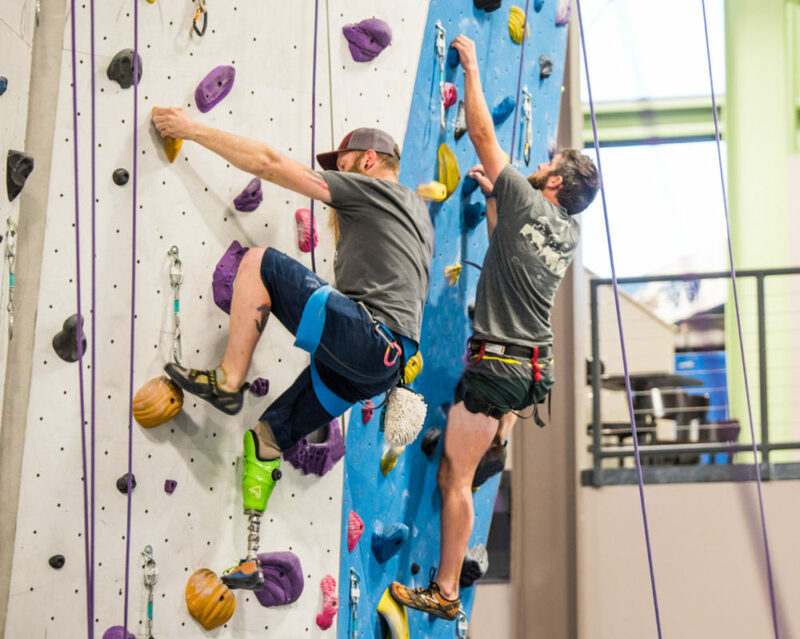 The Golden and Boulder Adaptive Climbing Clubs are casual, fun, and welcoming groups of adaptive athletes and community volunteers who share (or would like to explore) a love for climbing. 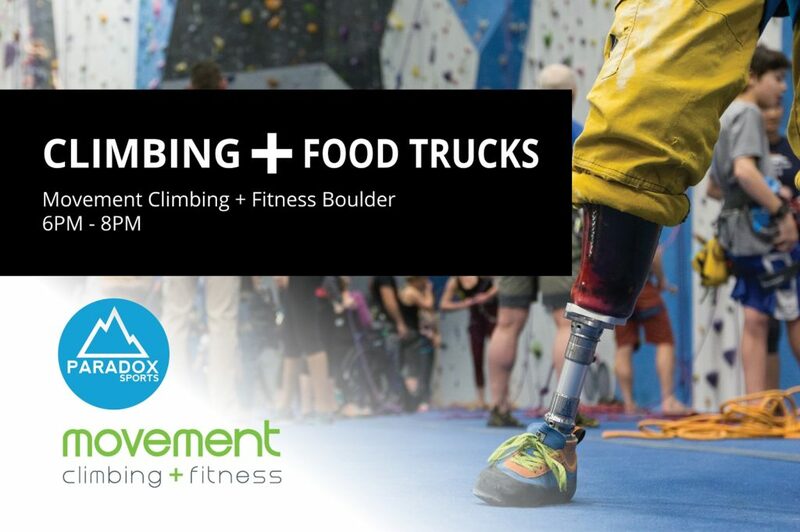 Supported by a partnership between Paradox Sports and Adaptive Adventures, these clubs meet on three Mondays per month at The Boulder Rock Club and Earth Treks Golden climbing gyms. Experienced climber? The Paradox community will challenge you to become a better climber and pursue new opportunities. Never-ever climber? We will introduce you to someone who can teach you and climb with you (and entertain you!). We want everyone to have a good time, whether you climb or not. Interested in attending an climbing event in Colorado? Check out the upcoming events listed on the main Colorado page! Don’t see any current events that you can attend? Join our mailing list to be notified about upcoming opportunities as they arise! Please complete the form below, and we will be in touch with upcoming opportunities. 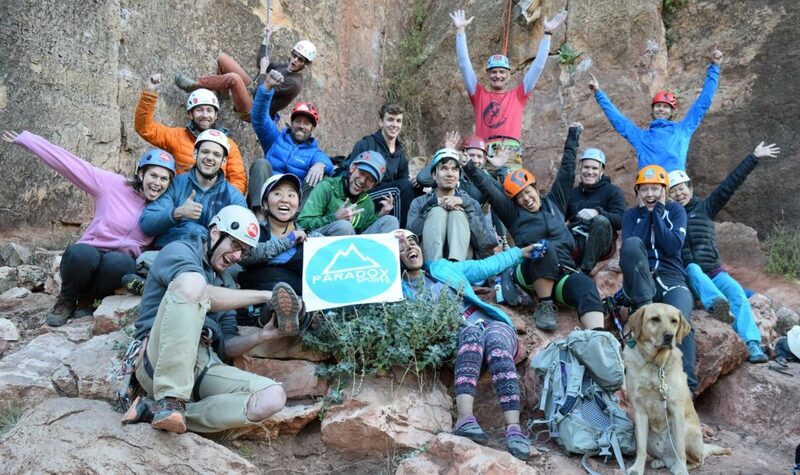 Give back to your climbing community! 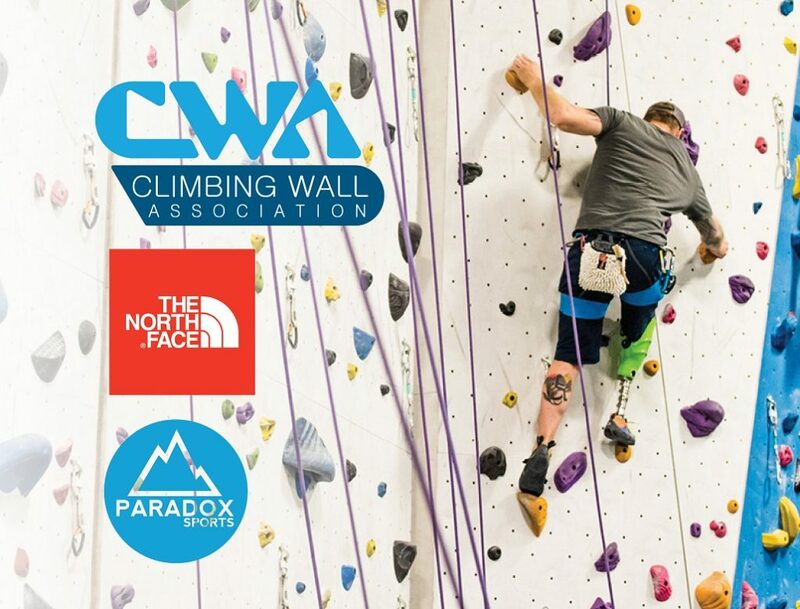 Both longtime and new volunteers join Paradox Sports and Adaptive Adventures on each club night to help spread their love of climbing and connect with a welcoming community. Club volunteers, under the supervision of club coordinators, help welcome participants to the world of climbing by belaying, coaching, connecting as friends and generally helping to welcome adaptive athletes to the climbing community! As a BACC or GACC Volunteer, your role is to provide an enjoyable climbing experience for the participants. On a typical Club night, volunteers will be paired up with a participant or group of volunteers/participants to climb with. All BACC and GACC Volunteers are required to attend a Volunteer Training before acting as a volunteer at club. There will be at least one training held each quarter throughout the year. Volunteers only need to attend one training before being permitted to volunteer. This requirement helps Paradox Sports and Adaptive Adventures ensure a consistent and high quality experience for everyone at climbing club. Volunteers are asked to attend at least 2 Club nights per quarter. Each quarter, volunteers will be able to sign up in advance for each night they plan to attend. This requirement ensures that an appropriate number of volunteers are present for each club meeting. Volunteers must be checked off by the host gym and by an Adaptive Adventures or Paradox Sports staff member. The check-off process is a part of the volunteer training. All volunteers must complete waivers for the host facility, Adaptive Adventures, and Paradox Sports. The Golden Adaptive Climbing Club meets at Earth Treks on the first and third Mondays of each month from 6:00 PM until 8:00 PM. The Boulder Adaptive Climbing Club meets at Boulder Rock Club on the second Monday of each month from 6:00 PM until 8:00 PM. *Discounted day passes (BRC $8, ET $15) apply and will be paid directly to the climbing gyms for each Club night. If you are only planning to belay, you can enter the gym for free. Dates for the next Volunteer Training are TBA. Please fill out the form below if you are interested in volunteering and we will be in touch! Please send all club-related inquiries to adaptiveclimbingclub@gmail.com. Both Paradox Sports and Adaptive Adventures have access to this email address.